DOVE Chocolate is made from the finest quality cacao for an exceptional, silky smooth chocolate experience. 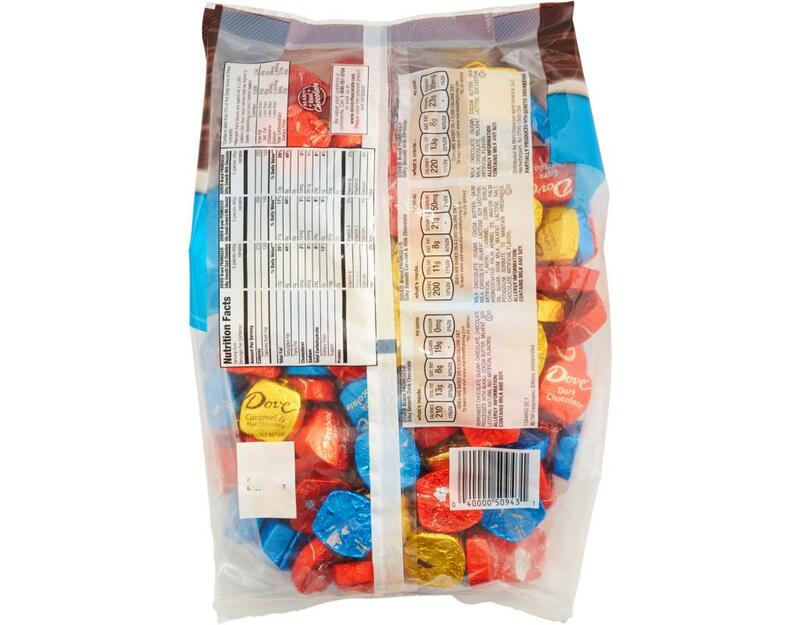 Each individually wrapped piece shares a special Promises message under the wrapper for a truly unique moment. 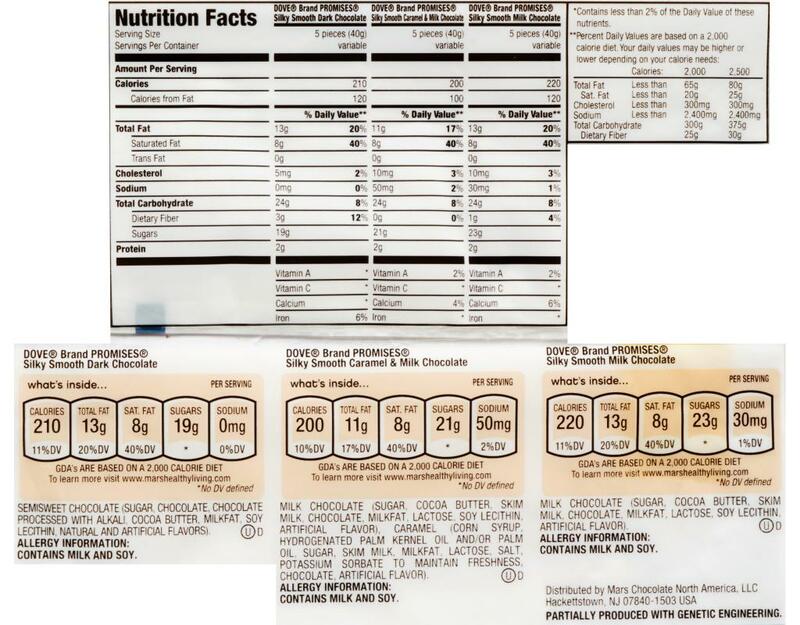 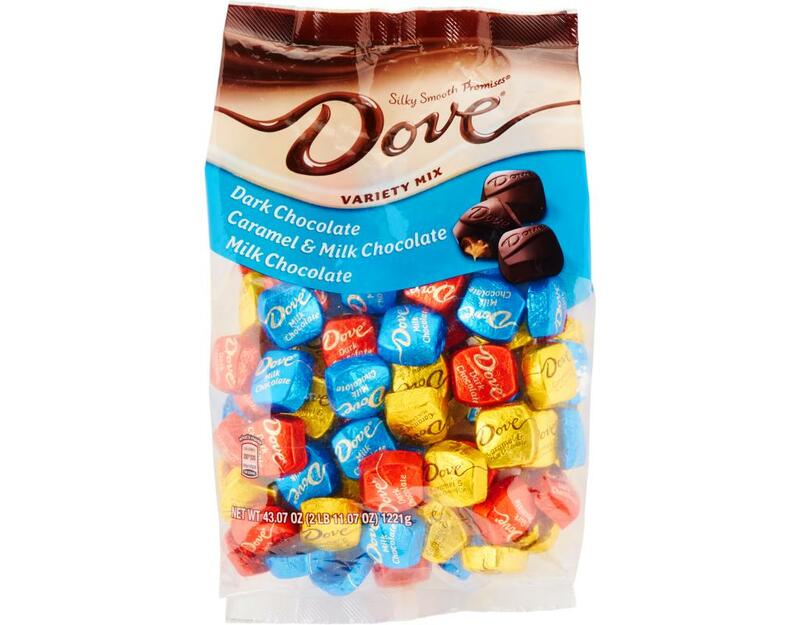 • DOVE Silky Smooth Dark Chocolate: Silky smooth & creamy DOVE Milk Chocolate. 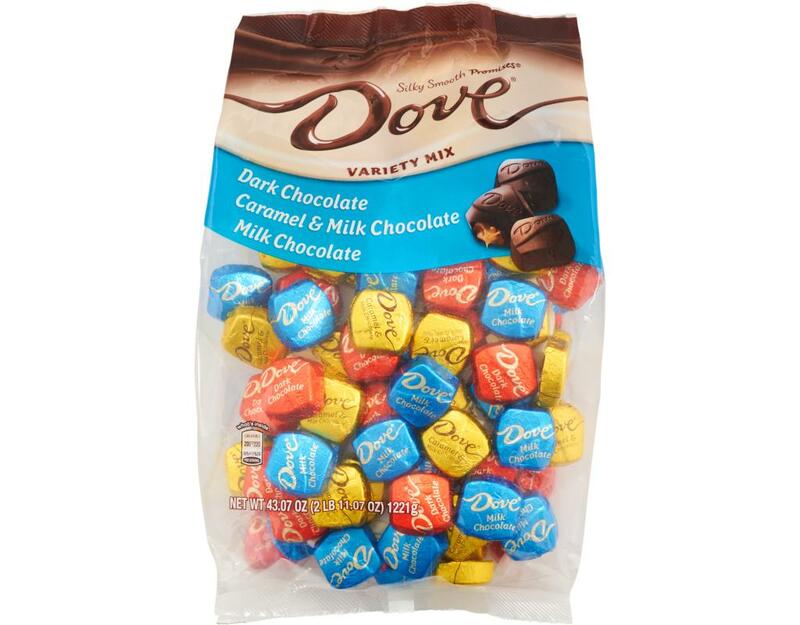 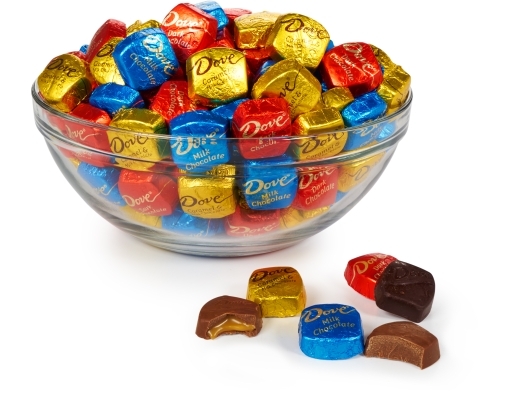 • DOVE Silky Smooth Caramel & Dark Chocolate: A delicious combination of silky smooth DOVE milk chocolate pieces filled with luscious caramel. • DOVE Silky Smooth Milk Chocolate: Silky smooth & creamy DOVE Milk Chocolate.